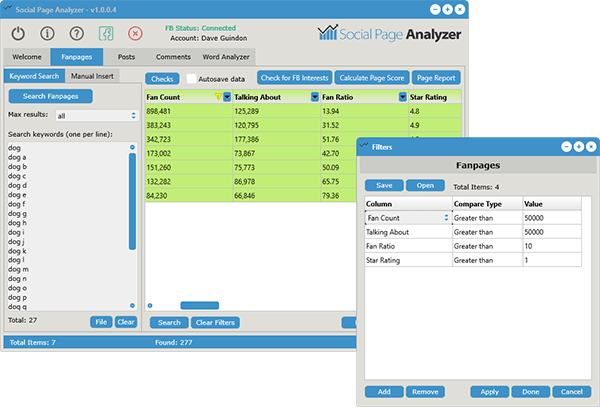 A new powerful tool for analyzing Facebook fanpages, fanpage posts and post comments with 5 built-in tools for uncovering the secrets behind any successful fanpagein just seconds! 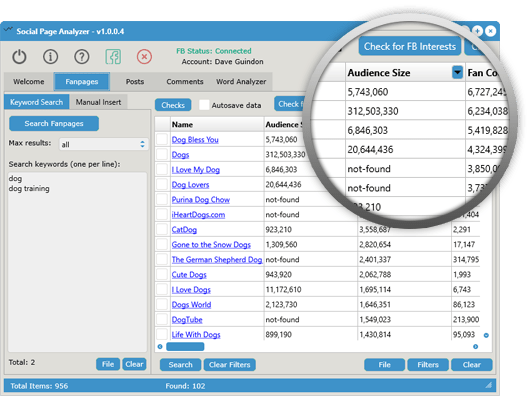 Fanpages ToolUncover thousands of Facebook fanpages directly from Facebook's internal database through their marketing API! 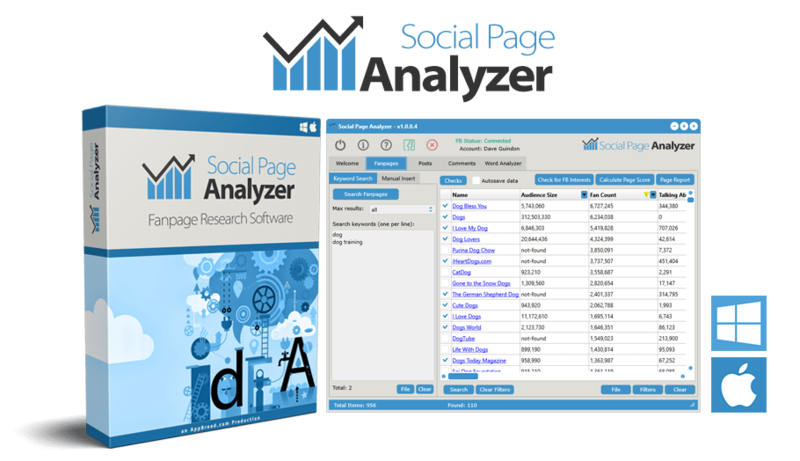 Instantly get 27 different metrics for every fanpage on facebook in just seconds! Get Interests for Facebook AdsFanpage names can also be "interest keywords" for facebook ad campaigns! 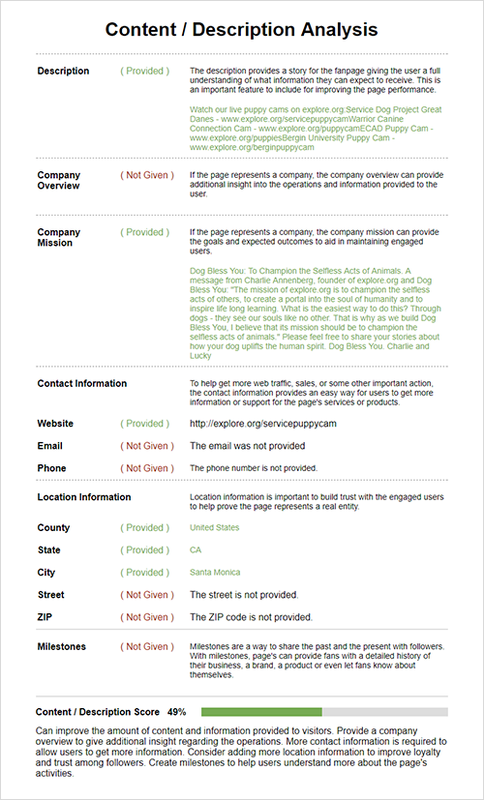 Get 1000's of Pages!Use the built-in "Append alphabet" option to get thousands of related fanpages! 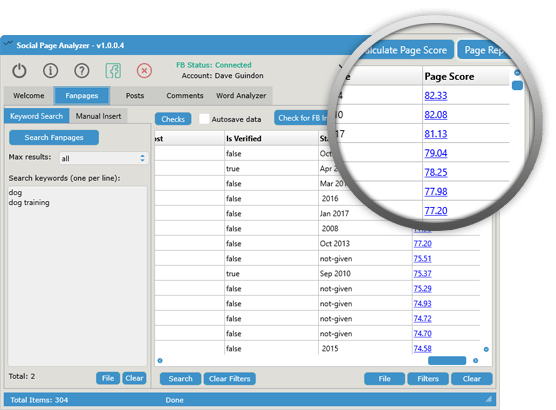 [align=start] Page ScoresGenerate sophisticated page scores for all pages to get a "REAL" sense of the true page value! 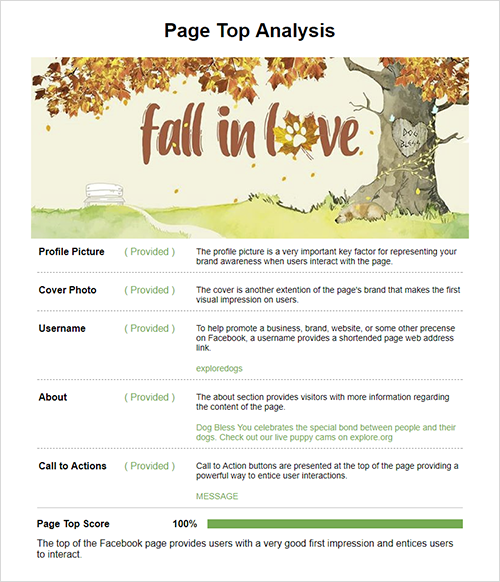 Click the page score link to see the corresponding page score report for any fanpage! 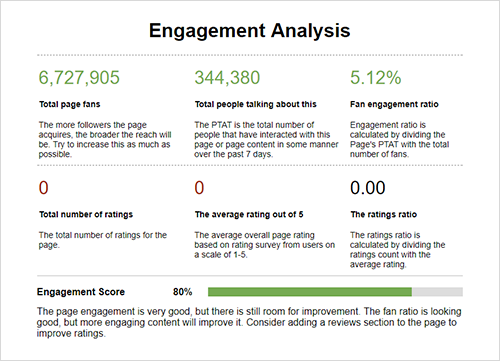 Page Score ReportOptimize fanpages for high engagement using detailed page score reports! Page Top AnalysisThe top of the fanpage is very important for making a first impression and an important factor for representing the brand awareness when users interact with the page. Content / Description AnalysisThe content and description of a fanpage gives followers more incentive to engage and interact with the page. 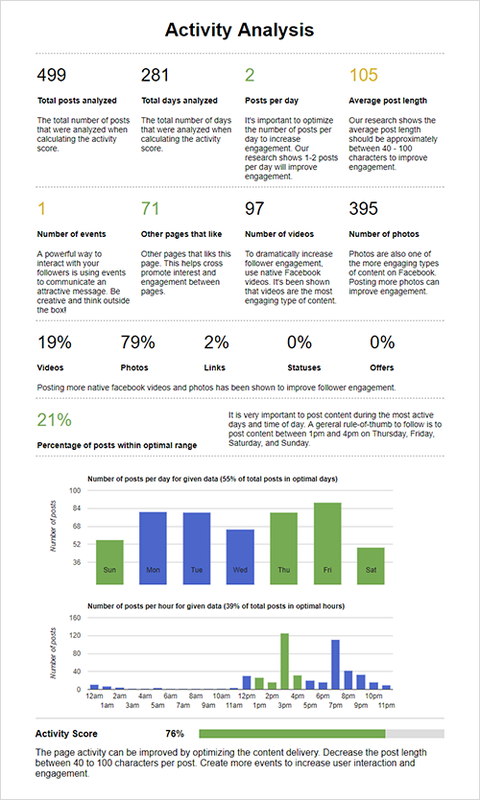 Response AnalysisFacebook followers really want fast responses and the ability to post content on pages they love. 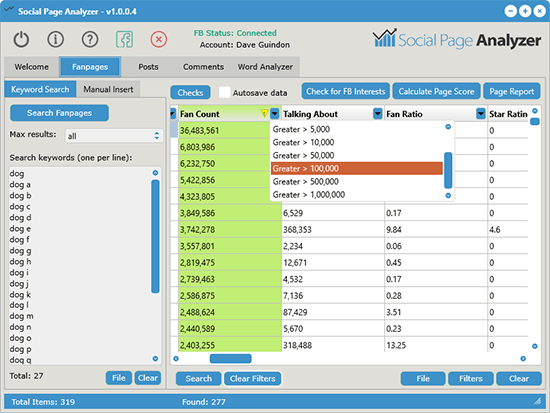 Engagement AnalysisFollower engagement is a key element to building up your loyal user community. 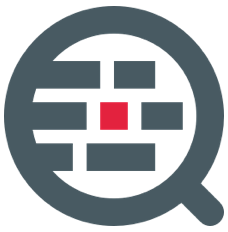 Activity AnalysisOne of the most important factors of any fanpage, is posting the correct content and delivering the content in an optimal manner. 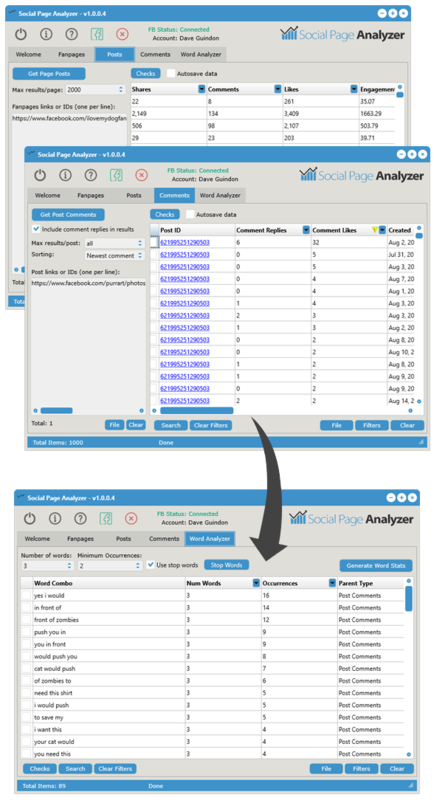 The activity analysis report section quickly summarizes past post activity showing you the break-down of each important aspect that needs attention. It is well known, the most engaging content are videos and pictures, plus the optimal time to post content is thursday - sunday between 1pm - 4pm. 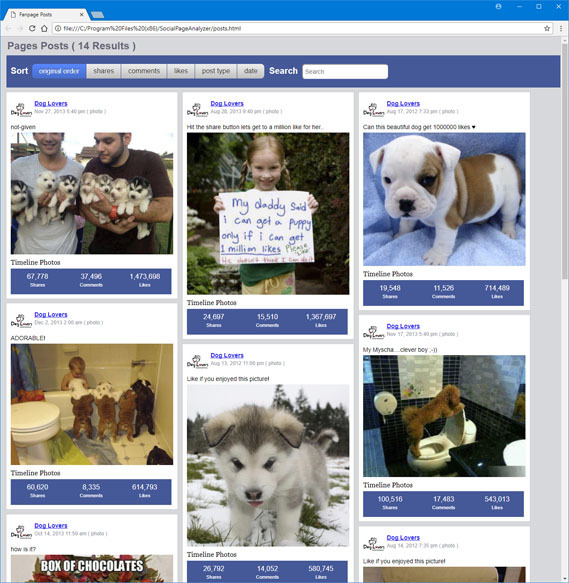 Posts ToolExtract thousands of posts from ANY fanpage in just seconds! Plus sort by shares, comments, likes, or any other data metric to see the content with the best engagement. 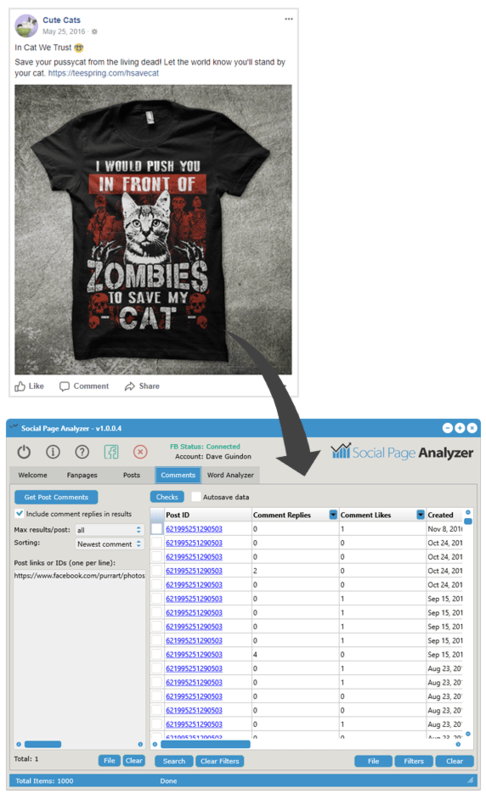 Instantly see the BEST posts based on engagement scale and engagement rate! Preview PostsClick the "Preview" button to instantly see the corresponding posts in an amazing post preview page inside your default web browser! 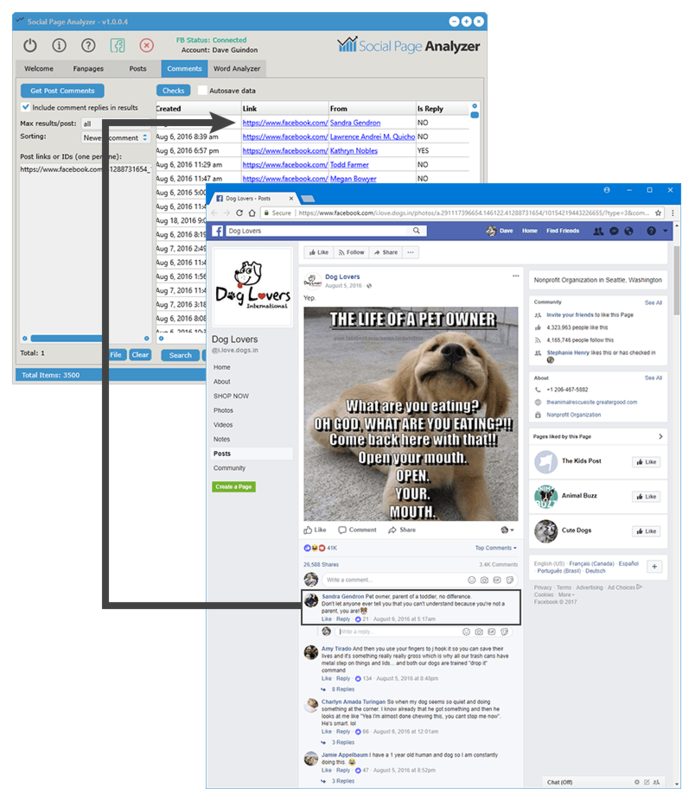 Easily and quickly browse through all post content to see what followers are loving the most, then model from that content to improve your own page post content. 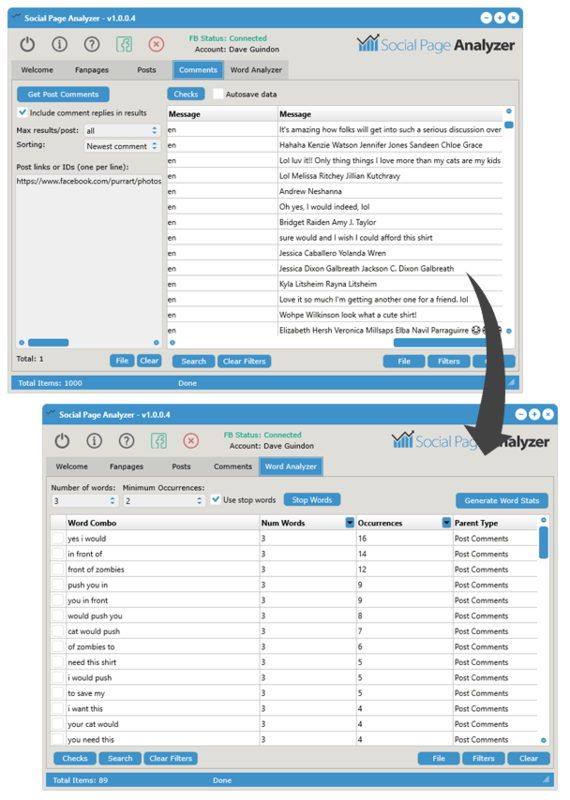 You can even quickly sort by shares, comments, likes, post type, and post date. Plus search by keyword phrase all within the page preview. 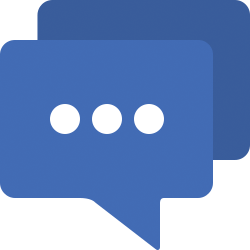 Comments ToolExtract thousands of comment from ANY fanpage post in just seconds! Plus, you can instantly sort comments by the number of comment replies and comment likes revealing the most engaging comments. Also, you can quickly search thousands of comments using the instant-search feature or content filters. Plus, click any comment link to see the corresponding comment on facebook. 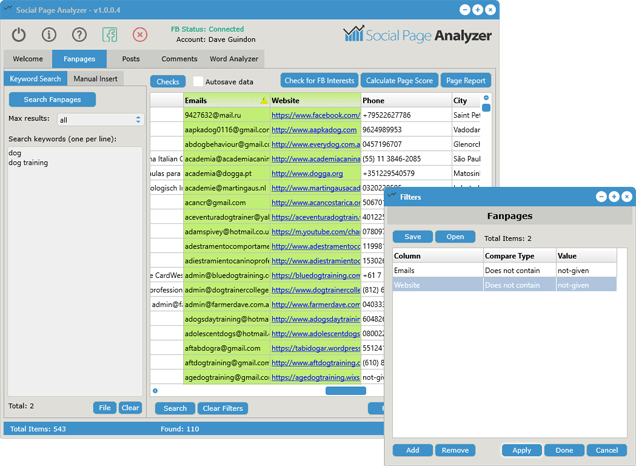 Word Analyzer ToolReveal powerful informationby sending all post messages or comment messages to the Word Analyzer Tool to instantly uncover all of the most common word-combinations! Imagine knowing what your customers "love" or "hate" about your product promotion on facebook by instantly seeing the most common word phrases people are talking about! Then, improve your product or wholesale new related products that fix the problems revealed in the user comments. Plus, you can research thousands of post messagesuncovering the most common content that creates high engagement. Model from those post messages to increase your page post engagement. Step 3Find a word combination that may reveal a possible shirt slogan idea. For example, to the image on the left, the word-combination "would push you" could be something to motivate a possible new design idea. Then, right-click and select "Word Analyzer > See Corresponding Messages" to instantly see the comment messages that contain the word combination "would push you". After quickly viewing the comments, two possible design ideas are created. The new design idea can then be published onto print-on-demand products such as t-shirts, coffee mugs, pillow cases, necklaces, hand bags, or other products! This is not only limited to print-on-demand products, but can be used to uncover new product ideas for your ecommerce sites, software products, SAAS service, or any other business. Blazing Fast Quick-FiltersGet blazing-fast quick-filters at the top of the columns. Custom FiltersYou can also create any custom filter you want for any column you wish. Plus, you can save your favorite filter combination to a file, and load your saved filters with a few clicks saving you hours of searching. 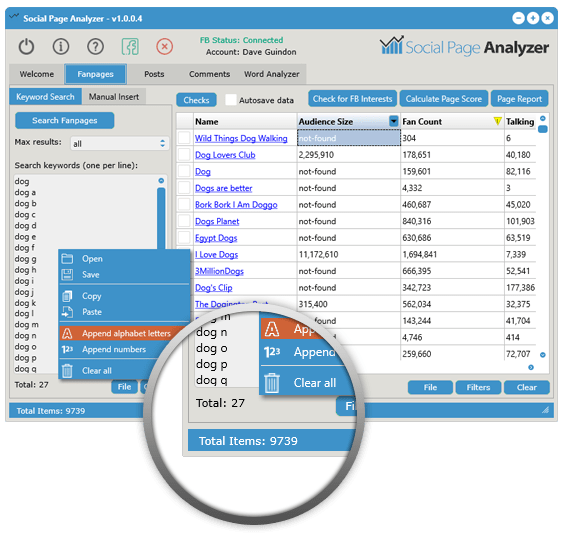 Stop wasting your valuable time searching pages on facebook for hours on end and use the power of Social Page Analyzer to get the exact data you need in just mere seconds!